Machu Picchu is one of the Seven New Wonders of the World, a UNESCO World Heritage site, the only surviving intact Inca city in Peru and so much more. Above all, it is beautiful beyond belief. 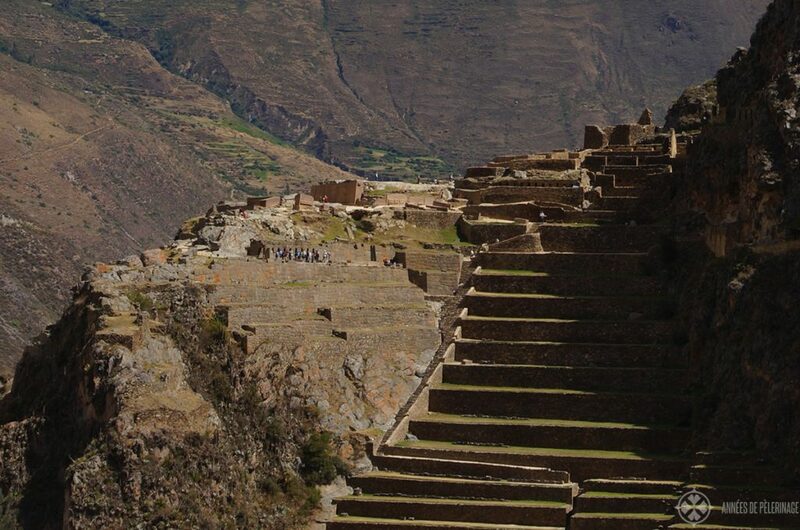 Roughly a million people come to the Peruvian hinterland each day to visit the ancient Inca ruins. All of them had to ask themselves the same question at one point: Train, bus or on foot – How the hell do you get from Cusco to Machu Picchu? Don’t want to forget that all-important item at home? Check out my detailed Machu Picchu packing list. There are three general ways to reach Machu Picchu, some of them quite expensive, while none of them are exactly easy. There is a reason why it took western archeologists until 1911 to find the lost city of the Incas. Strictly speaking, Machu Picchu is not very far away from Cusco. If you were to take a helicopter along the Sacred Valley of the Incas and over the Andean Mountains it would only take you a couple of minutes (before you ask: this is not an option as the Ministry of culture forbade any airborne traffic above Machu Picchu!). The distance from Cusco to Machu Picchu is only some 75 kilometers! For more facts & information, I recommend you to read my ultimate insider guide to Machu Picchu. Depending on your way of travel it can take you up to 7 days to reach it, though. The reason: the whole Urubamba valley is almost inaccessible. There is only space for small trails and dense vegetation. As of now, there is no road going directly to breathtaking Machu Picchu – only train tracks and long and winding paths to travel by foot. So how to get from Cusco to Aguas Calientes? 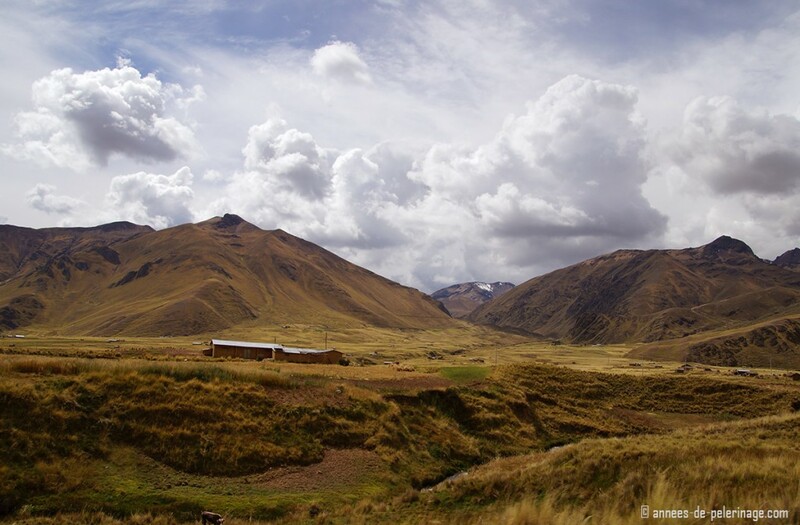 You got three options: Taking the train, hiking (for example the famous Inca Trail) or taking the bus. Taking the train to Machu Picchu is by far the easiest and fastest option. Trains depart multiple times each day, 365 days a year. The train ride to Machu Picchu is, in fact, one of the most beautiful train rides in the world, so you really shouldn’t miss it. As a tourist, you can either start in Cusco or in Ollantaytambo. 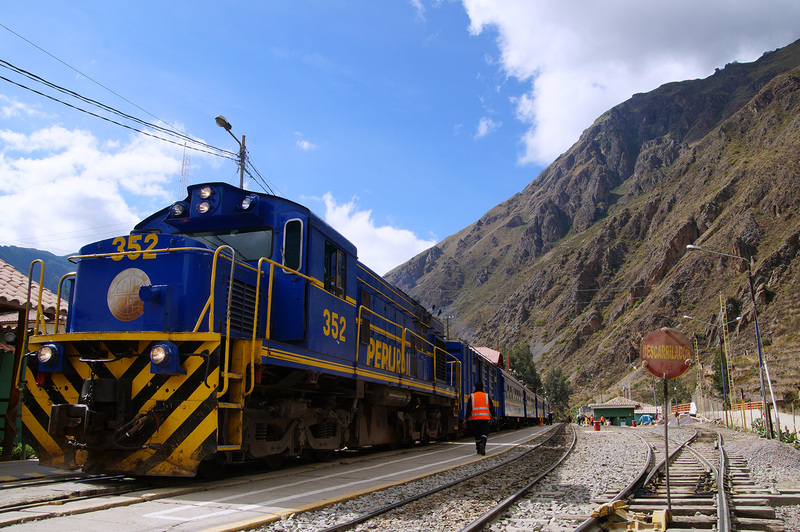 Trains will roughly take 3 to 3 and a half hours from Cusco. If you got the chance, pick the train from Ollantaytambo. Not because the trip to the Inca ruins will only take 90 minutes to Machu Picchu from there, but because an outstanding Inca fortress (almost rival to Machu Picchu itself) can be visited here (read my full guide here). Do book your train tickets from Cusco to Machu Picchu well in advance. The Inka citadel is a popular destination and not all options might be available to you on the site anymore! 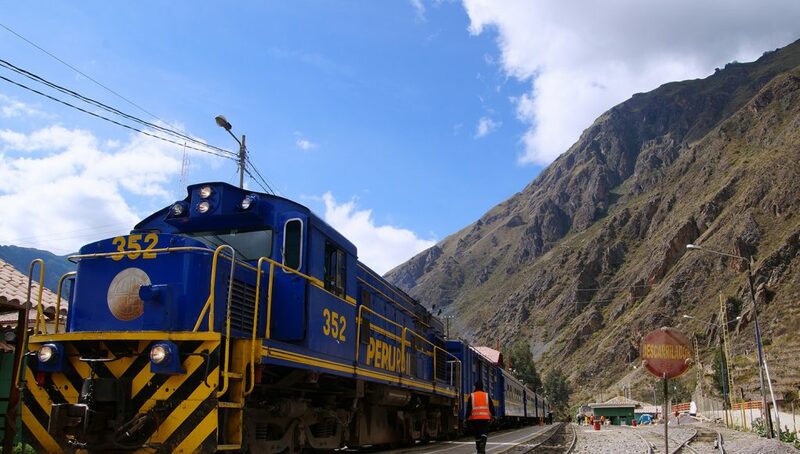 Be aware that the Cusco trains leave from Poroy train station a bit further outside Cusco. From the center that is a taxi ride of about 20 minutes depending on the traffic situation. Depending on the ticket you are holding you may be required to be there 30 minutes prior to departure for registration. Ever since July 2017, there is a special Afternoon ticket for Machu Picchu. Which enables you to see Machu Picchu on a day trip without paying fully. Read more about it here. Another important notice: There is a baggage limit of 5kg per person on ALL trains. No big hand luggage is allowed! If you plan to visit Machu Picchu with bigger luggage you absolutely need to contact PeruRail in advance and ask them for permission! (which usually is no problem; at least I never faced any. The train most tourists will take is the Vistadome. 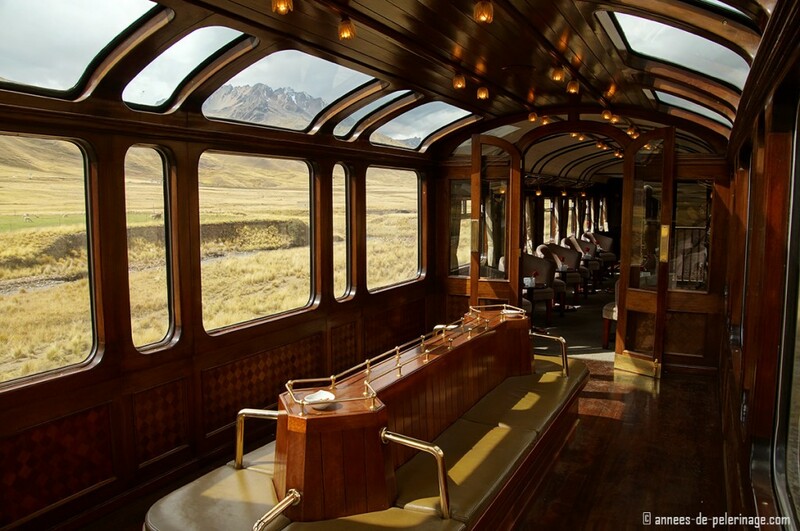 It is run by PeruRail and offers wonderful panoramic windows. There is also food and non-alcoholic beverages being served on board – all included in your ticket price. 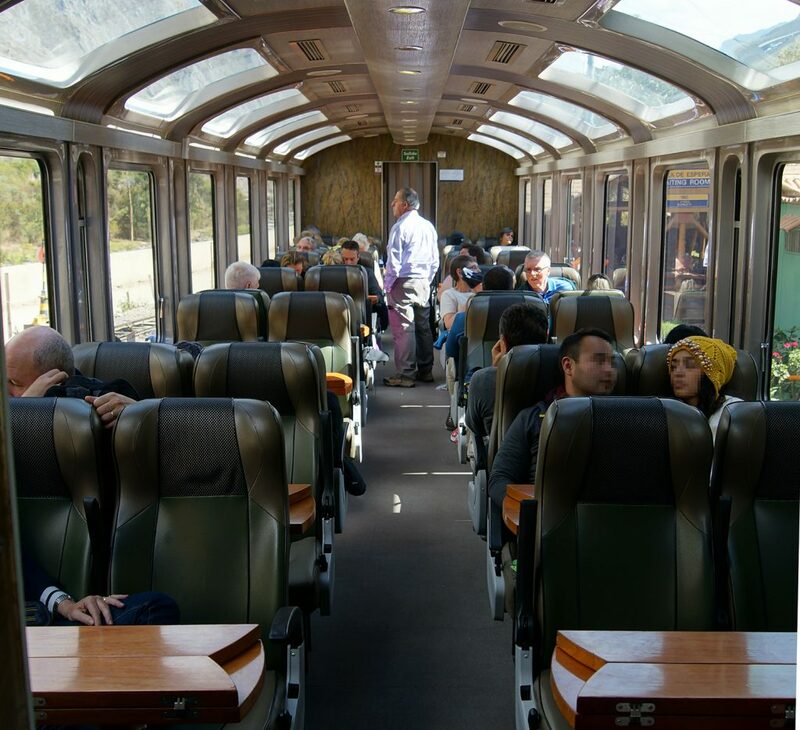 Since the train tracks follow the Urubamba river down the Sacred Valley of the Incas, prepare for breathtaking landscape and an unforgettable journey. Actually, this is a good opportunity to mention that Machu Picchu is hidden a cloud forest, so you will see the landscape change considerably on your way further down the valley. There is also a little music and fashion show on board to pass away the time. Travelers can also opt to book a buffet lunch at the Belmond luxury property outside the gates of Machu Picchu (the so-called Sanctuary Lodge; read my review here) for an extra charge, though I would say that really is not needed as the buffet tends to be very crowded. The Expedition train is also operated by PeruRail but much cheaper. It’s more or less a regular train without the panoramic windows, the extra food, and entertainment. If you are looking for a combination of budget and fast, this is the train you should take. Most locals pick these, so expect a joyfully mixed group of passengers. Hiram Bingham is the man who made Machu Picchu popular in the western hemisphere and Orient Express dedicated a special luxury train. The brand is now known as Belmond and sends luxury travelers to Machu Picchu from Monday through Saturday. Welcome cocktail, onboard gourmet lunch, and a spectacular observatory car will make your journey to the Inca ruins the experience of a lifetime. A one way trip on the Hiram Bingham luxury trip will cost you about 450 US per person. Afternoon tea at the Belmond Lodge outside the gates of Machu Picchu will be included. Three times a day during the high season (April through October) there is also a train run by IncaRail. They offer different ticket options (economy, business, first class and presidential). This is probably the cheapest option. The Economy ticket only costs 60 US-Dollar per round trip. The wagons are not as spacious as those run by PeruRail, though. This train leaves from the same train station as the PeruRail cars. Machu Picchu was built in the 16th century and obviously, the Inca didn’t have the option of taking the train. The whole Incan empire was connected by a very dense network of highly efficient roads and trails. Some of them are still in use today, so hiking to Machu Picchu is not on possibly but done every day by tourists from all over the world. There are various options ranging from 7 to 1 day – depending on the time available to you. Most of them give you the unique opportunity to see other, lesser-known Inca sites along the Urubamba valley. Be aware that the Inca Trail (Camino Inca) will cross high passes (up to 4.000 meters above sea level) so altitude sickness might definitely be a problem (read my article on 10 ways to avoid altitude sickness to be prepared). Az the same time hiking to Machu Picchu will give you the unique opportunity to get so much more intimate with the South American country. Just remember to avoid the rainy season (check this out this comprehensive article about the weather in Machu Picchu). Most treks will start in Cusco but will cover the first stretch by bus or car. Most tour agencies will pick you up in Ollantaytambo as well. The most famous route still active is the Camino Inca or Inca trail, which will take you between four and five days to get to Machu Picchu (covering some 82 kilometers). Despite all that, the Inca Trail will give you the unique opportunity to see a couple of lesser-known archaeological sites on the way. But also know, that the Sacred Valley has other highlights (like Maras salt mines or Tipon) which you might miss then because your itinerary doesn’t allow it. 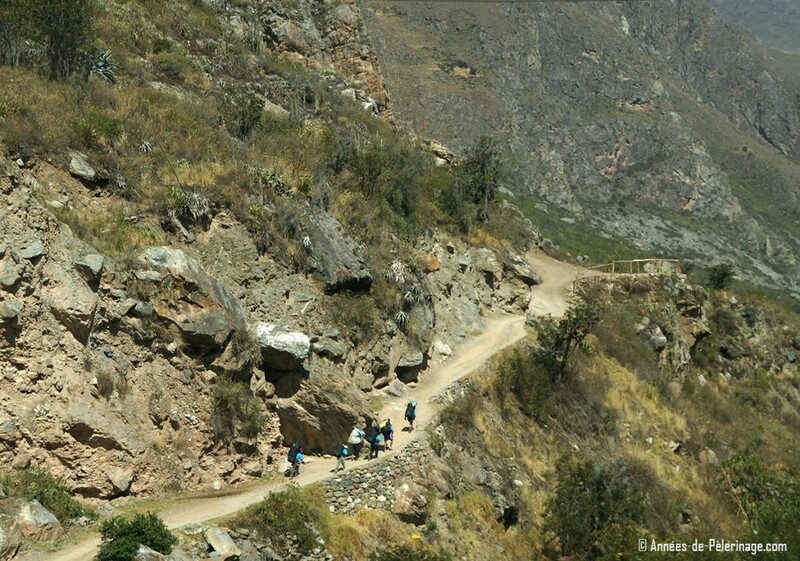 The shorter option of the Inca trail only does the last stage of the classic Inca Trail. 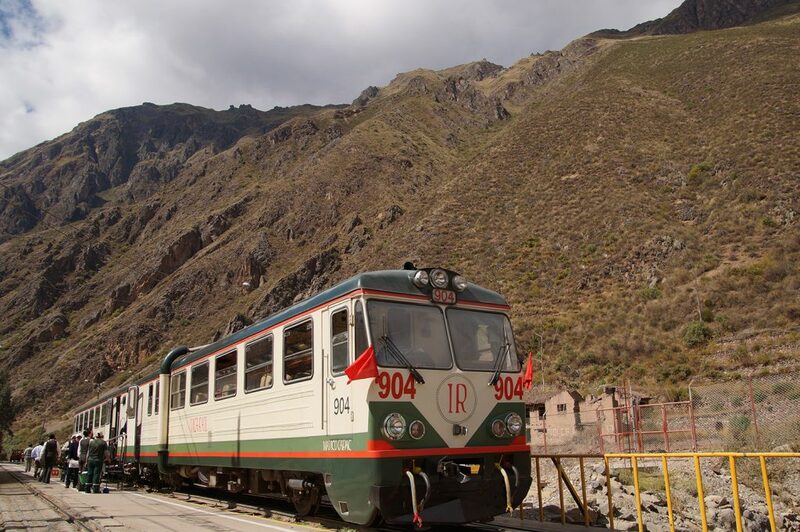 You will take the regular train from Cusco to Machu Picchu, but hop off the train at kilometer 104. From here the trail starts. It will only take you about 4 hours to reach Machu Picchu. Before that, you will pass Winya Wayna (a lesser but still impressive Inca site). Again: be aware that you won’t be able to hike to Machu Picchu independently. You will have to contact an official and licensed tour agency and you will need entrance tickets for Machu Picchu as well. Also note that there are yet more ways into Machu Picchu, as the Lares trek. Actually, the Lares trek is one of the main alternatives to get to Machu Picchu from Cusco and will take you two or three days. This makes it the easiest, cheapest and fastest way to South America’s archeological gem. All travelers to Machu Picchu will take the bus at one point. For only a bus connects the town of Aguas Calientes with the ruins itself (you can opt to walk through). But it is also possible to take a bus from Cusco to Machu Picchu. This is by far the cheapest option, but not exactly the most comfortable or safest one. If you are on a very tight budget (and time being no concern) you can also take the bus to Machu Picchu all the way. Here are your two options. Starting from Cusco (Terminal Santiago) you can take a bus to Quillabamba. Get out at Santa Maria (after roughly 3 hours) and proceed onward with another bus to Santa Teresa (one more hour). 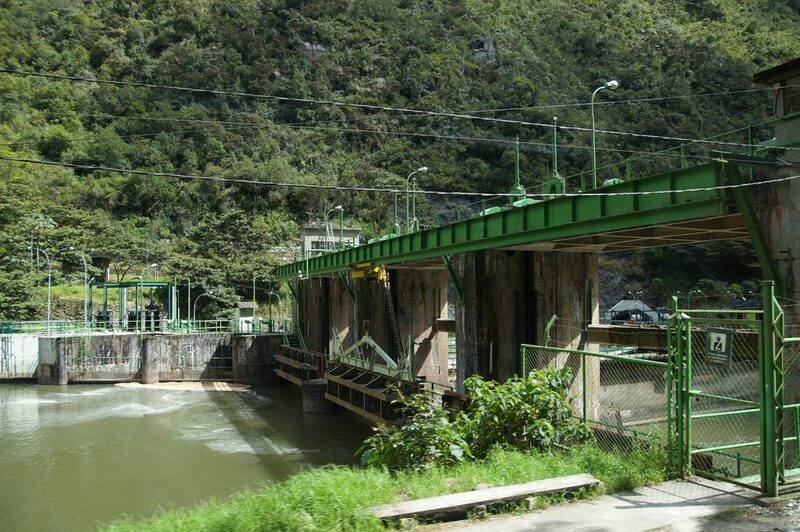 From here you will have to take a local taxi to the Hydroelectric plant near Santa Teresa for a few soles. 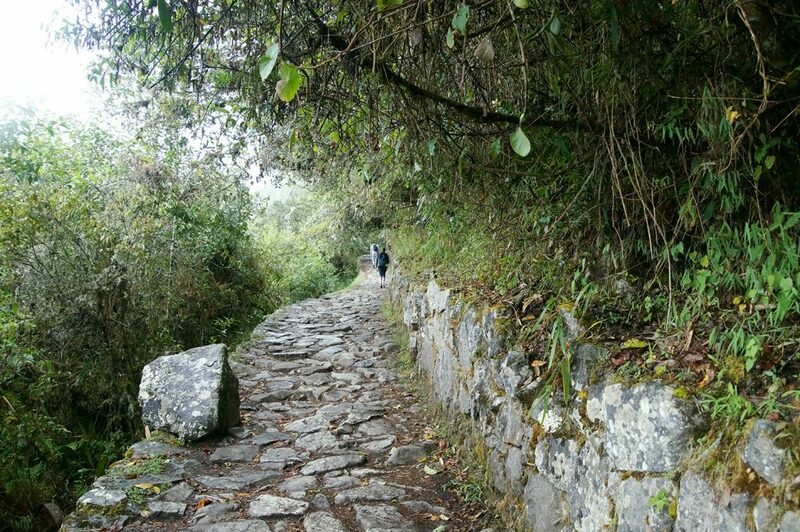 Hidroelectrica is the closest road to Machu Picchu. From Hidroelectrica you will have to walk, meaning following the train tracks for about 6 kilometers. The staff at Hidroelectrica will be able to point you onwards (might ask you for a registration). Be aware that this bus option will probably take you the whole day! So don’t leave Cusco later than 7 am and have a flashlight at hand for the last stretch of the walk. Book your stay in Aguas Calientes in advance. You could opt to stay in Santa Teresa, where lovely thermal springs can be found (accommodation will be dead cheap) to make your trip less stressful. For more details read my full guide on taking the bus to Machu Picchu. To save a bit of the high costs to reach Machu Picchu, you can take the bus to Ollantaytambo and only join the train for the last leg. There are plenty of collectivos heading towards Ollantaytambo each day and it will only cost a few soles. I wouldn’t advise you to do this with big luggage. For this option, you will have to book your train tickets in advance as well! (IncaRail will be the cheapest). Whether you arrived in Machu Picchu by train or bus, you will reach Aguas Calientes. Travelers taking the Inca Trail will usually head down to Aguas Calientes as well, to stay there for the night. This means you will have to pave your way up to Machu Picchu (which sits on a mountain ridge 400 meters above the town) at one point or the other. Your only option to get there is taking the bus. 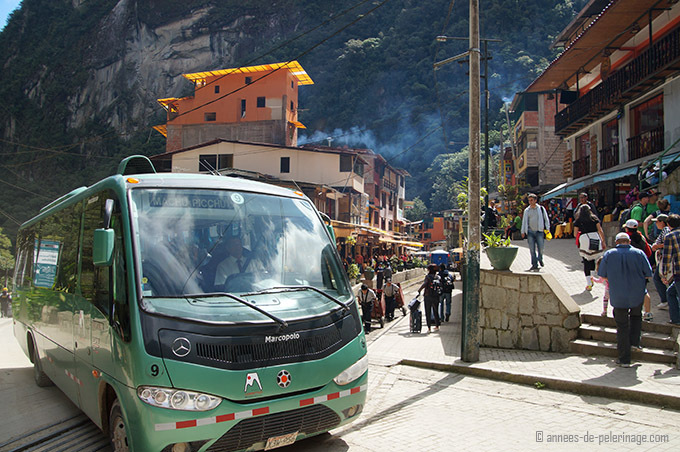 Buses from Aguas Calientes to Machu Picchu operate all day long throughout the year and take approximately 25 minutes. The first bus to Machu Picchu leaves at 5:30 am and will get you to the entrance in time for the sunset (MP opens at 6 am). The last bus departs at 3:30 pm from Aguas Calientes, while the last bus from the ruins leaves at 6pm. The air-conditioned buses leave whenever they are full. The bus station is only a short walk away from the train station. You will have to walk through a souvenir market and you will then find it on the other side of the river. You have to buy tickets BEFORE you get on the bus. So it is better not to idle and get to the ticket booth rather quickly. If you want to save the 19 US Dollar for the scenic round trip you can also hike. It will take you about 90 minutes to reach the top. There is no need to pre-book these bus tickets. Simply buy them at the office in town or at the gates of Machu Picchu. Phew! This article got longer than anticipated. 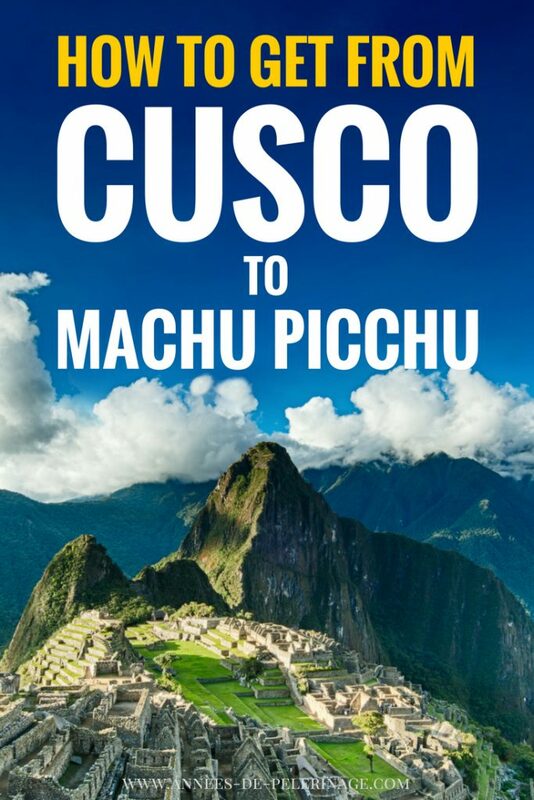 I hope I was able to help you out on how to get from Cusco to Machu Picchu. If not, ask me in the comments below. And don’t forget to pin this for later! Such an informative article!! Machu Picchu is on my bucket list, but a bit further down so I haven’t really looked at the logistics of getting there in much detail. Your article is very thorough, thanks for sharing your trips and experience, it’s good to keep in mind! Nice information. 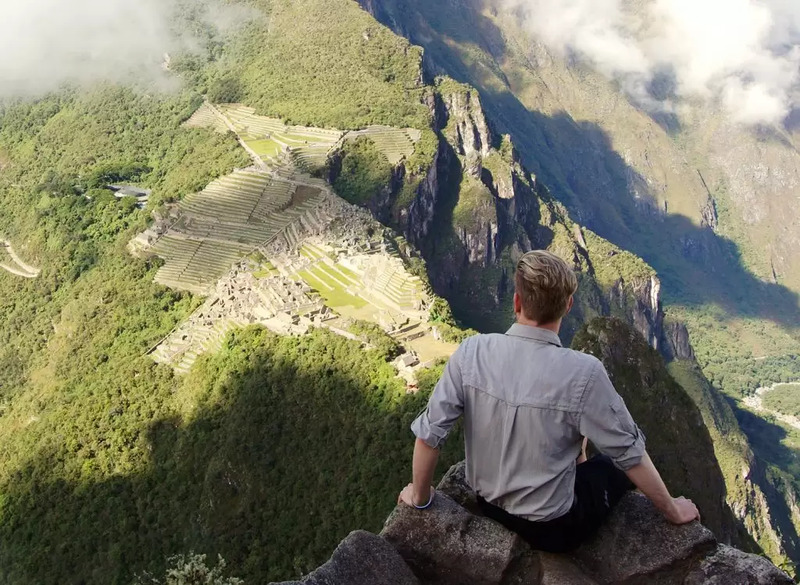 Machu Picchu is one of the Seven New Wonders of the World. It’s really an amazing place to go for a vacation trip. I am contacting Green Peru Adventures who will help us to visit this amazing place. Your article is really very much helpful. Thanks for the information. Do you suggest taking the train from Cusco to Agua Calientes and staying a night there and then going to Machu Picchu the next day? this used to be an easy question. As now they only sell a morning or an evening ticket, you might as well take the train from cusco, pick the evening ticket and then the last train back. Loved this article, thank you for taking the time to share. I had a question as I and two other friends are running into one issue and hoping you have a suggestion. We are planning to visit in May- staying in cusco, then doing the sacred valley tour and ending that day in ollyetantambo otw to Machu Picchu. We were going to spend the night in olleytantambo then catch a train to aguas calientes, so we could do two days in Machu Picchu (one afternoon to take our time around the ruins then one full day for the hike).We are going to have a private taxi during the sacred valley tour to keep our stuff but our issue is with our luggage- what to do with it from olleytantambo to AC? I saw you said our luggage won’t be an issue on the train so long as we contact them prior.. should we keep a place in olleytantambo to store our luggage while in Machu picchu or would we be able to bring it to AC to keep in the hotel? Thanks in advance. most hotels will offer such a service. But personally speaking I had no problem bringing my 23kg rimowa suitcase up to Machu Picchu itself. My hotel just called the railcompany any everything was fine. I was wondering how you came about the price for the Hiram Bingham roundtrip train to Machu Pichu from Cusco (you mention about $400 round trip per person) since I’ve looked to schedule for this upcoming October and it is $450 one way and then $430 the other per person. I realize this post is from about a year ago, but could it be possible that the price doubled within that year? Many thanks for the post, great GREAT info! Great insight. From Colorado and looking to explore Peru with Machu Picchu as the main attraction and goal. My flight is my main expense, any frugal options you reccomend while making my trek? Are hostels easy and safe? I appreciate anything you have! Hi there, I am hoping to go with some friends and my mum next year. My mother has a bad knee but she desperately wants to go. Thanks so much for sharing all the info on the bus and train. Really helpful! I just wondered, after you get off the train, how big a walk is it up to the site itself? Just to get an idea on whether it is realistic she can do it or not. Well..after the train you need to get to the bus, which is basically just a walk through a market and like 100 meters over a bridge. In Machu Picchu you have to walk quite some. If your mother has serious problems with walking stairs, then I’m not sure if she will enjoy it. A tour through Machu Picchu takes like 40 minutes (walking fast and not looking at nights) and hm..maybe 300 uneven stairs. Your article made me reconsider! I will be working in Lima and would really want to see Macchu Picchu but have only three days to spare. At the most four if I push it. Would it be possible and worthwhile to fly from Lima and see Macchu Picchu it in four days return? that’s totally possible if you really need to see it. You got one day to fly to Cusco and move onwards to Aquas Calientes, one day in the ruins and another day to get back to Cusco/Lima. Depending on the available flights, you might actually have some spare time in Cusco. My boyfriend and I are planning to travel to Peru this summer. We didn’t realize how strict the logistics were to plan this trip so we are trying to scramble and make proficient itinerary! You have given us some insightful information from this article! We will be spending a few days in Cusco and we are hoping to take a day trip to Machu Picchu from Cusco. From the options you have given, which would you recommend the cheapest and fastest route?